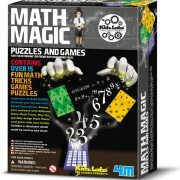 4M KidzLabs Math Magic Game is new to www.switchedonkids.com.au this year. 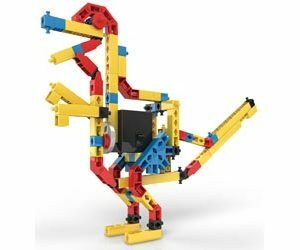 Kids of all ages will have hours of fun with these fascinating games and experiments. Have fun astonishing your friends with magic number tricks. 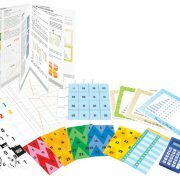 Contains over 15 fun math tricks, games and puzzles. Learn how to read minds. Astonish your friends with speed calculations. Amaze your audience with different funny math tricks. 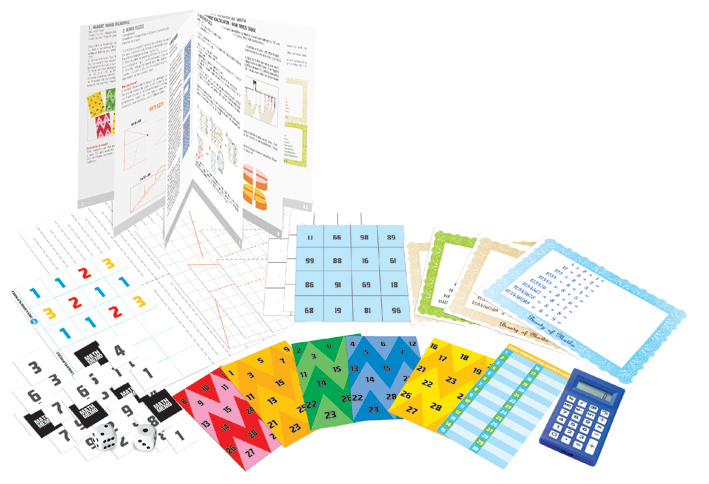 Play specially designed math memo card game with your family. Includes a calculator which can be used as a key chain. Ideal birthday gift. 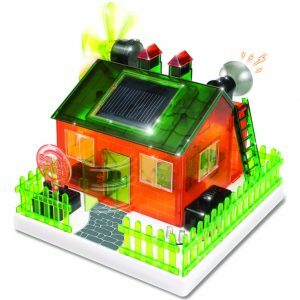 By the time children have completed all of the puzzles and science experiments for kids included in one of these science kits, they’ll be looking at maths and science in a whole new way! 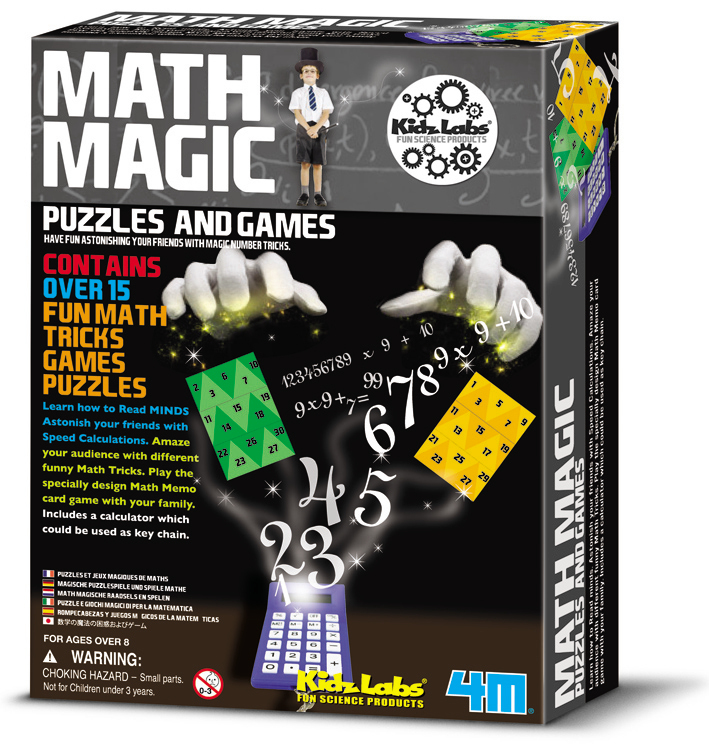 Activities in 4M KidzLabs Math Magic Game range from reading minds to completing hilarious math tricks that kids can show off to their friends and family. Have fun astonishing your friends with magic number tricks. 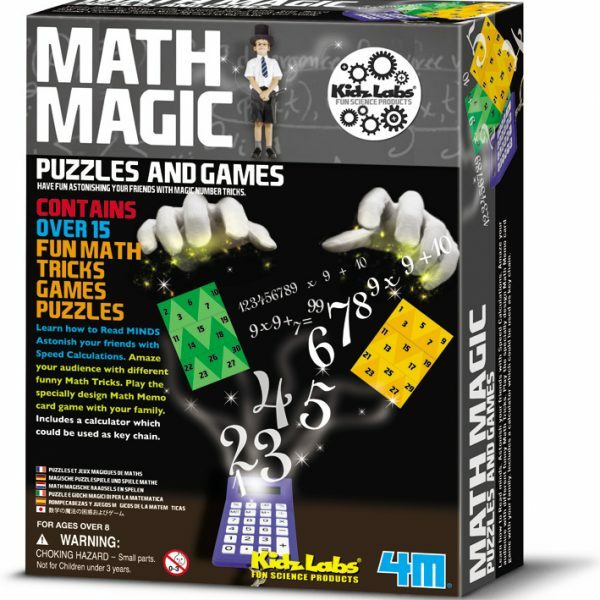 Contains 15 fun math tricks, games and puzzles. Learn how to read minds, astonish your friends and family with quick calculations. Also thrill them with funny math tricks. The kit includes a calculator which is also a keyring. Detailed instructions with fun facts. 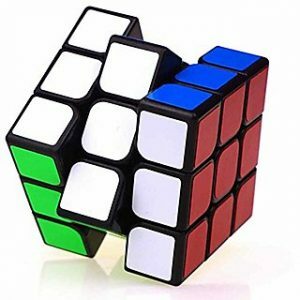 If you ever thought that maths is boring, here is a toy to make you make it interesting. Learning maths cannot be more fun.